A federal judge in Oregon has ruled that local law enforcement agencies must not comply with ICE detainers, a key tool used by ICE to take custody of criminal aliens for investigation and possible removal. As a result, nine sheriffs in Oregon announced that they would cease honoring detainers and begin releasing any arrested aliens who complete their sentence or bond out of jail before ICE has a chance to charge them. Judge Janice Stewart's ruling is one product of a years-long campaign waged by legal activists with the support of Obama administration officials. The central issue is whether locals should treat the detainer as something they "shall" comply with, according to the language of the federal regulation, or as a "request". Her decision is particularly controversial and problematic because she went farther than some other federal judges by saying that the ICE detainer is not just a request for local authorities to grant or leave, but that granting the request by holding the alien for ICE is a civil rights violation, thus taking away all discretion from local authorities. Her decision might still be appealed or overturned through legislation, policy adjustments at ICE, or further litigation, but the short-term consequences will make it difficult for those communities struggling to address the problems created by criminal aliens. The immediate impact is the release of many criminal aliens who will disappear rather than face charges. Some of these aliens will commit new crimes. The sheriff of Multnomah County, Ore., lifted 50 holds on the first day of the new policy and no doubt hundreds more will be released in the coming months. The ICE field office in Seattle, which covers Oregon, Washington, and Idaho, issued more than 7,500 detainers in 2013. We can expect that community groups and sheriffs will be interested in monitoring who is released and what happens as a result. 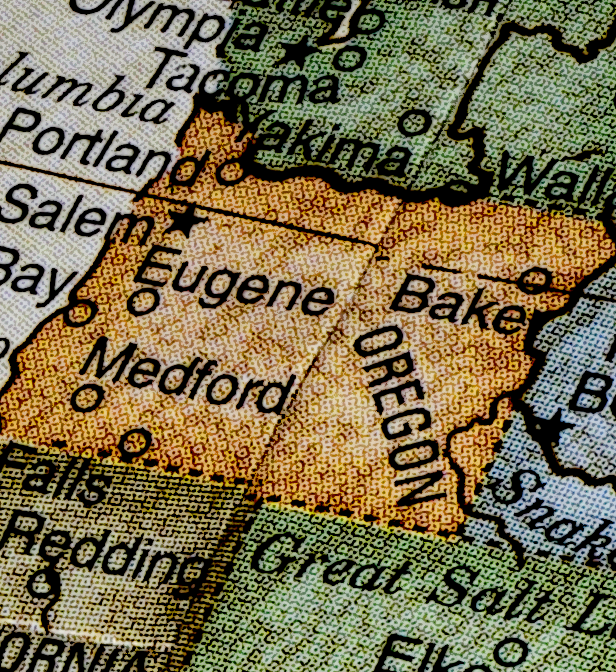 Stewart's decision affects only Oregon, but it is influential and many other jurisdictions will conclude that, for now, they have no choice but to cease holding arrested aliens for ICE in order to avoid lawsuits filed by local legal aid organizations on behalf of criminal aliens who are able to bond out on their local charges. A few states, including Arizona, Virginia, and New Jersey, may not be affected because they have already passed state laws that prohibit bail or allow higher bails to be set for illegal aliens (although these laws have been the target of litigation as well). Jurisdictions fortunate enough to have 287(g) agreements also should not be disrupted, because they are less dependent on detainers, since the designated officers have the authority to put criminal aliens on the path to removal without waiting for ICE. The Obama administration has been directly complicit in facilitating this kind of litigation, which strikes a blow at ICE's highest priority task — the identification and removal of criminal aliens. Until recently, ICE's official position was that it expected local agencies to comply with detainers, even though it moved internally to soften the language used on the detainer forms to give locals a basis for refusing if they so choose. Those local partners that do comply have had to fend for themselves in dealing with any lawsuits on behalf of individuals they hold for ICE who turned out not to be deportable, but at least two courts have endorsed the position that detainers can reasonably be considered mandatory and sheriffs should be held harmless if they properly comply. Enter Dan Ragsdale, the current deputy director of ICE. Several weeks ago, in response to a request for clarification submitted by the California State Sheriffs Association, which has been struggling to reconcile its view that detainers are mandatory with a new California law forbidding them to comply in certain situations, Ragsdale issued the following statement on behalf of ICE, but over the objections of senior career ICE personnel: "[W]hile immigration detainers are an important part of ICE's efforts to remove criminal aliens who are in federal, state, or local custody, they are not mandatory as a matter of law." The California sheriffs are still wondering aloud why Ragsdale made no mention of the federal regulation telling them that they "shall maintain custody" of an alien after a detainer is served. While this development certainly will make it harder for ICE agents and officers to do their jobs, it does not necessarily mean that interior enforcement will decline any further. ICE need only make some adjustments in the way it requests the transfer of criminal aliens from local police and sheriffs, specifically by issuing warrants of arrest, and providing them as attachments to the detainers. In addition, ICE can revise the detainer form so that it can have more force when ICE has sufficient probable cause to arrest an alien, and serve as a request when that is more appropriate, for example when ICE needs to wait for a conviction. There is no reason whatsoever that ICE should not be able to maintain its current (anemic) pace of removals. Sheriffs, on the other hand, have good reason to complain, especially if ICE does not follow through with the needed adjustments. Most sheriffs do not wish to return deportable criminals to their communities to continue preying on the people they protect. They have united to fight sanctuary policies imposed by legislatures and governors in California, Maryland, Massachusetts, and other states. Most are perfectly agreeable to cooperating with ICE, but do not want to be held liable or to be stiffed by ICE and DOJ and left twisting in the wind in court in the occasional case where something goes wrong. Congress can help by increasing funding and creating incentives for 287(g) programs, which the Obama administration has tried to shut down. In addition, Congress should pass the SAFE Act, which cleared the House Judiciary Committee last year and makes detainers mandatory, among other needed reforms. States, too, can enact various types of legislation that would blunt the reach of the Oregon ruling and preserve federal and local discretion to cooperate. Community activists and victims' rights groups also have a role to play, by obtaining information on criminal alien releases from local authorities and making sure that their neighbors and appropriate institutions are alerted.